Our second order from Suma was delivered last week. I took delivery at my house this time and hosted a lovely get together last Wednesday. We ate good food, enjoyed good company and wonderful weather. The system was easier to manage this time around but still needs some work. This post brings me up to date on developments with this design and looks at the E for Evaluations and D for Design and I for Implementation of OBREDIMET. After the first delivery we discussed the key functions that we wanted the group to fulfil. 1. For the ordering of items to be straightforward, manageable and time efficient. 2. Delivery to be easy to receive and to be able to to divide up people’s orders with ease. 3. 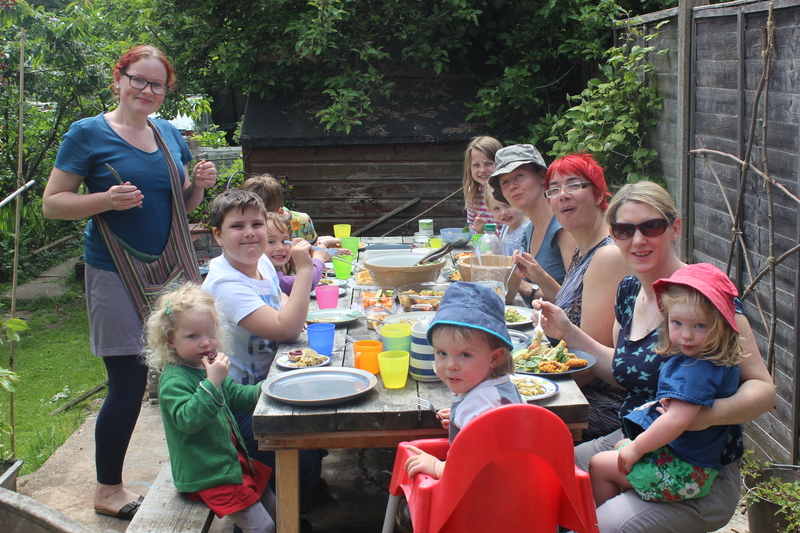 For the group to meet up regularly to discuss and place orders and share meals. 4. 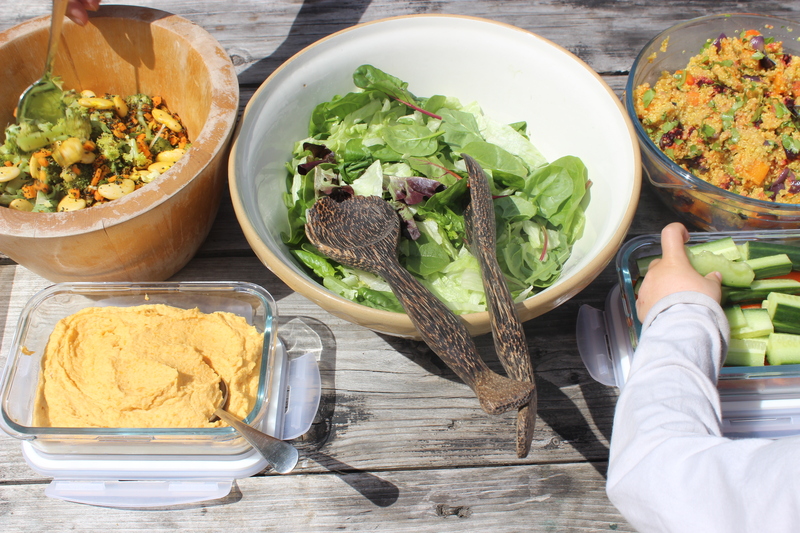 To expand the remit of the group to include recipe sharing and group cooking days. 5. 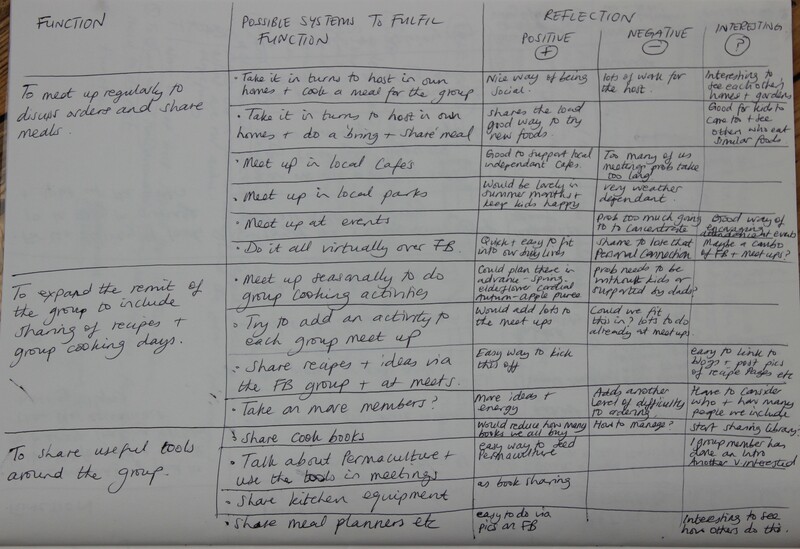 To share useful tools, such as meal planners around the group. I looked at each key function in turn and considered multiple ways or systems of achieving that function. I then reflected on that possible system using the PNI tool. See the two photographs below. 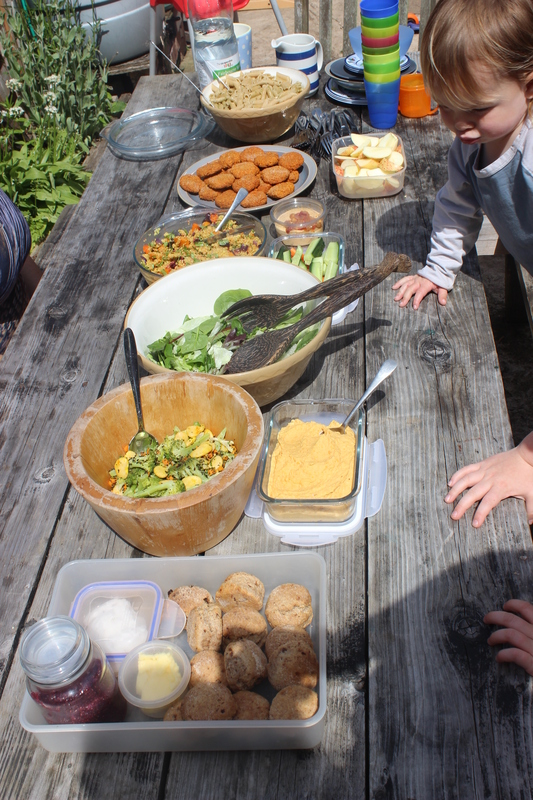 As well as dividing up the order, we had a lovely ‘bring and share’ dinne with all the kids included as it was half term. We have 12 kids between us, 10 of which were present. 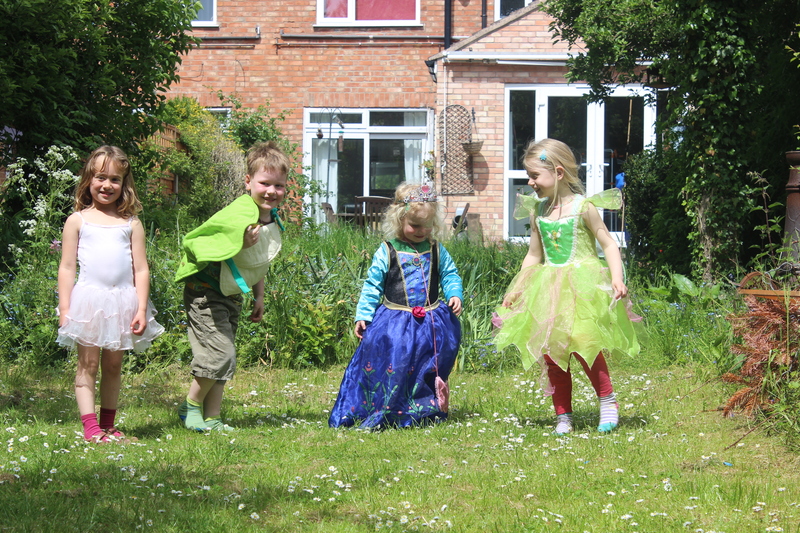 The children played together happily, dressing up, putting on a play, jumping on the trampoline and running around in the sunshine. 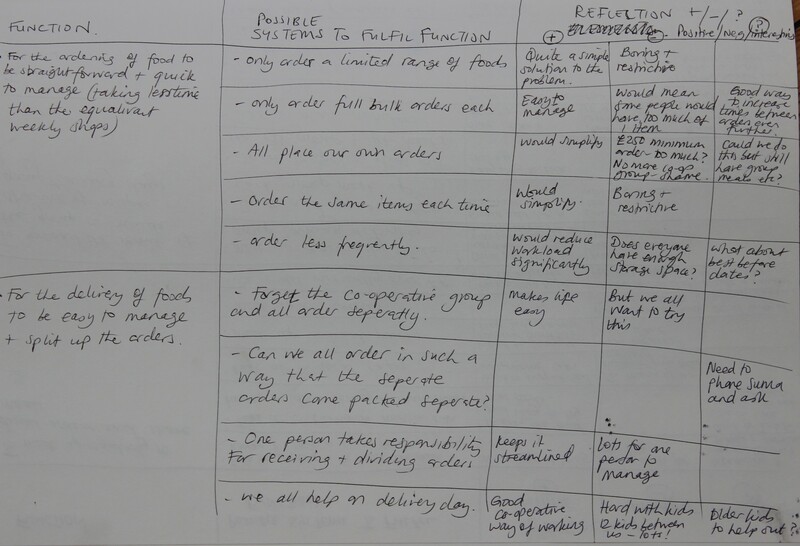 That was very helpful in allowing us adults to divide up the food order and do our reflections. I will post about this design again in late summer or autumn when we have had time to try out a few more designs and reflect on them. I will aim to complete the OBREDIMET design system and look at the M for Maintainance, E for Evaluation and T for Tweaks. I will also do a personal reflection on this design. 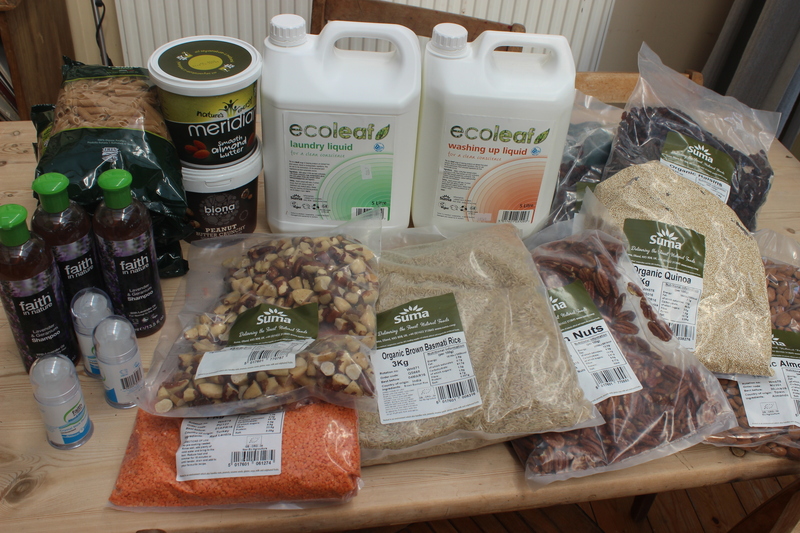 This entry was posted in Uncategorized and tagged 10 Designs, Adventures in whole foods, co-operatives, design process, Diploma, Evaluations, food, food choices, food shopping, OBREDIMET, Permaculture, Permaculture Diploma, South Leicester food group, Suma by emilycrofton. Bookmark the permalink.